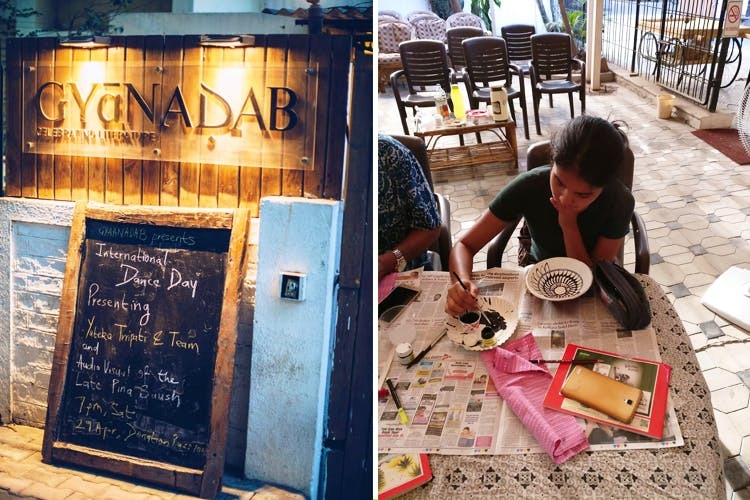 A quaint cultural centre nestled in the cosy corner of Kalyani Nagar, Gyaan Adab celebrates literature and art, free from the shackles of politics, religion, class, caste and creed. From book readings to heartfelt discussions on art, music and theatre, Gyaan Adab ropes in gifted artists and literature enthusiasts under one roof. The art exhibitions at Gyaan Adab will revive your love for creative work all over again. The place is a perfect balance of young modern art and the already established artistic traditions. The team at Gyaan Adab aims to provide a platform to emerging artists to showcase their creative and sensitive work. If you’re an art aficionado, drop in at the centre and witness the aestheticism of art that is versatile and refreshing. Bookworms, Gyaan Adab is the kind of place where you’ll find happiness. The library is well-stocked with selected books by ace writers, across all genres. The collection covers literature in four Indian languages and English. Additionally, Gyaan Adab hosts book readings and discussions almost every week. So take your friend who loves to read and engage in some quality time. Gyaan Adab celebrates dance, drama, music, film and poetry. The place is known for live music and poetry presentations set around core themes and ideas that aim to inspire and educate the audience. Similarly, young theatre groups and dancers are given a platform to showcase their artform. Films are an integral part of Gyaan Adab and so is film viewing and appreciation. The centre hosts film viewing of all kinds and languages, every now and then and gives opportunity to people to understand and enter the world of film. Gyaan Adab is hosting an art exhibition – Landscapes Of My Mind by artist Aksay Alurkar, this Firday from 6:30 pm onwards. So drop by and say hello to the members. Trust us, they will make you feel at home instantly!